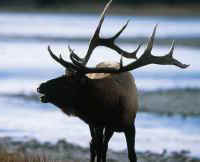 (Elk Exploitation - Canned and Trophy Hunting - 01) The caption on this photo read, "Antlers, Antlers, Antlers", as a way of attracting the trophy hunter to a "ranch" to kill a bull elk. 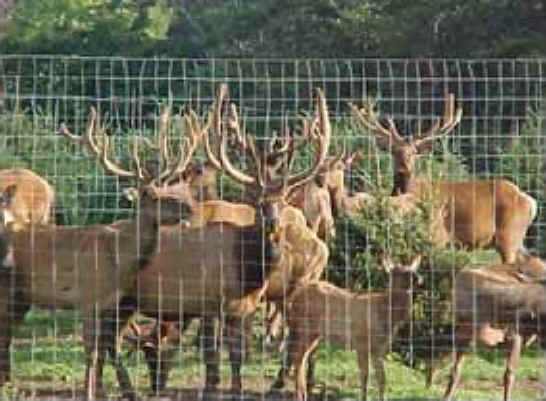 As can be clearly seen, these elk are being raised in a fenced in enclosure in the presence of humans, who provide for their needs. As a result, they have lost their fear of humans, which makes them an easy target for those who kill to satisfy their egos. This practice is evil!